On 27th March 2018, ITTAPDY conducted its 12th Monthly Meeting in association with Lenovo “Gyan Yatra Training Program” at Hotel Annamalai International, Puducherry. The event went very well as per scheduled agendas of both ITTAPDY & LENOVO. Lenovo has given their product presentation consist of Lenovo ThinkCentre- Desktop & ThinkPad- Laptop to ITTA-pondicherrians. The presentation gave a lot of technical information pertaining towards selling point of view and what are all the unique features available in Lenovo products when compare with their competitors in the market. The presentation was very useful to members as per their feedback. Especially, Azarudeen-presenter’s interactive quiz & answer methodology was very impressive and the message & information reached the mass very well. Lenovo has achieved the purpose of what for they have conducted this event. As it was clearly visualized from their facial gestures when they left the venue. 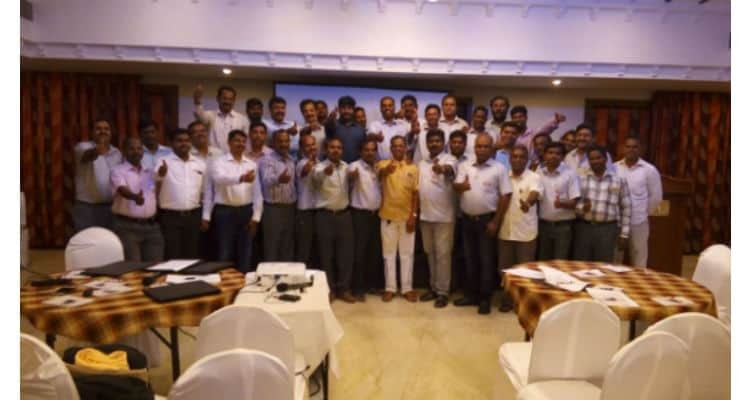 D.Sundara Pandian-President of 2017-18 presented his tenure’s achievements and the welfare he did for his association through a power point presentation. The presentation received a big round of applause on the floor. ITTAPDY Conducted an election to choose its office bearer for the period of 2018-19. Sabarinathan, Prabhakar, Ramana & Palaniraj have been elected without any competition for the posts of President, Vice President, Treasurer, Joint Secretary respectively. One Hansraj-past vice president won a vote more than his opponent contestant and became secretary to our association. The Gyan Yatra Training by Lenovo & ITTAPDY monthly meeting agendas happily ended with members’ early bird luck draws for ITTAPDY’s logo designed T-shirts and Lenovo representatives honouring shawls to the members. ITTAPDY & Lenovo Organized Gyan Yatra Training Program in Puducherry 0 out of 5 based on 0 ratings. 0 user reviews.